Olly joined our coaching team in March 2018. He is a level 2 qualified Swimming Coach and has a background of qualifications and experience in Sports Science. Commonwealth Games (youth) Gold medalist 2011, Welsh record holder (current and former & junior and senior), Competitor at 2012 & 2016 Olympic trials, US Open Medalist and Finalist 2012 & 2013 (Indianapolis, Los Angles), 2010 world championship trials finalist, Welsh open water champion are to name but a few. 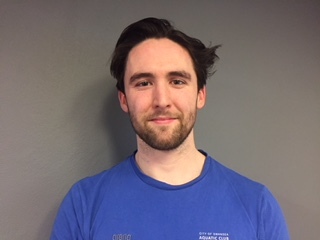 Olly has been a volunteer and cover coach for Swansea Aquatics covering the performance and national squads for the last 3 years, he has been leading the National Squads Strength & Conditioning programme while being part of the swim wales internship programme.